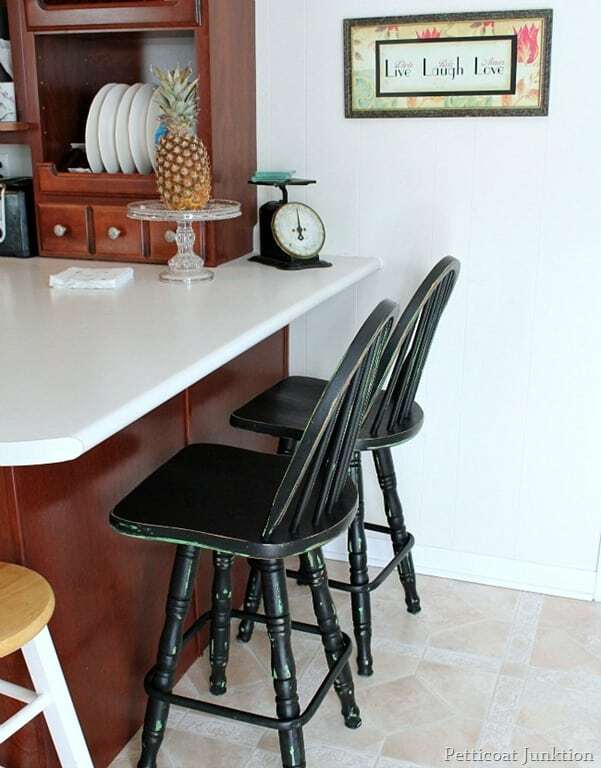 Second time around for my bar stools. You guys may remember these from a couple of weeks ago. 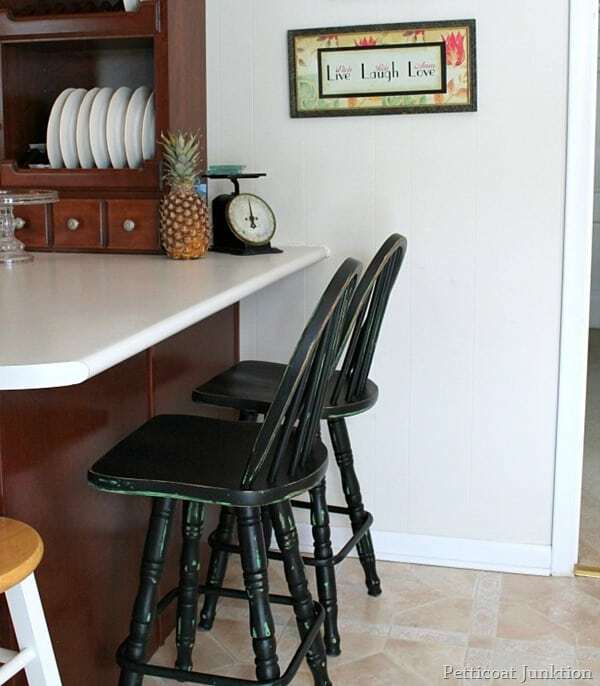 I painted my kitchen bar stools green with a stencil design on the seat. They looked fine…. but the green wasn’t working. It wasn’t the right shade. I decided to paint them black. I used Reclaim Licorice then distressed the black paint so the green peeked through just a little. I like them much better now. Leave me a little note below. You only have to leave your name (first name is ok) and your email address, then your comment. Your email address will not be shown on my blog. I liked them green but like the black also. I love that little yellow box on the counter too!! Do you sell your stuff in Clarksville?? I liked the green, but the black goes better with the bar it seems. Black is more classic and looks great with anything. Great work! I love the black. 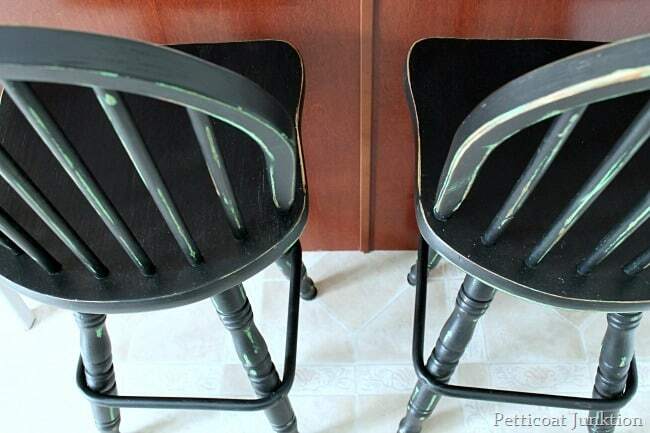 What have you used to protect the paint on the rungs of the stools? I would imagine that they will get a lot of footwear. Oh, Kathy, the black is soooooooooooo much better! Good girl! 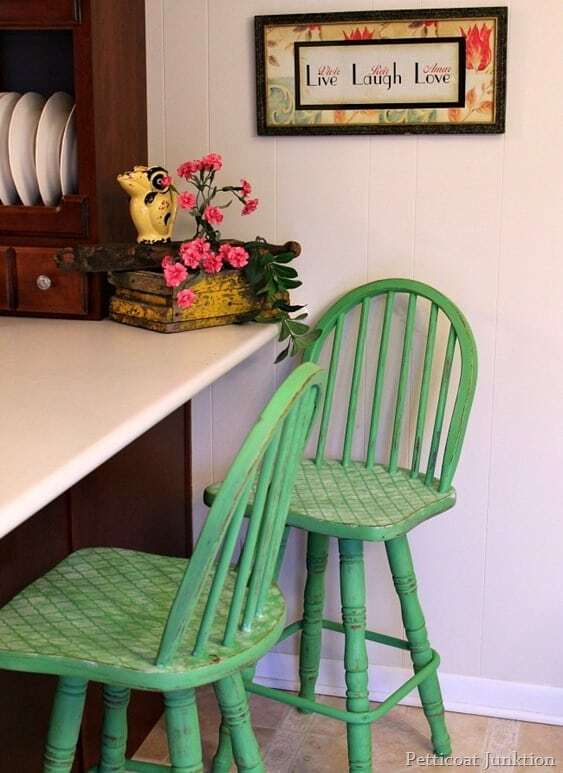 Yes, much better and you still have the green to go with your curtains.